Celia, Nicole and Marisa all had their VSG surgeries on the same day one year ago. Now all three sent a photo in "old" pants. 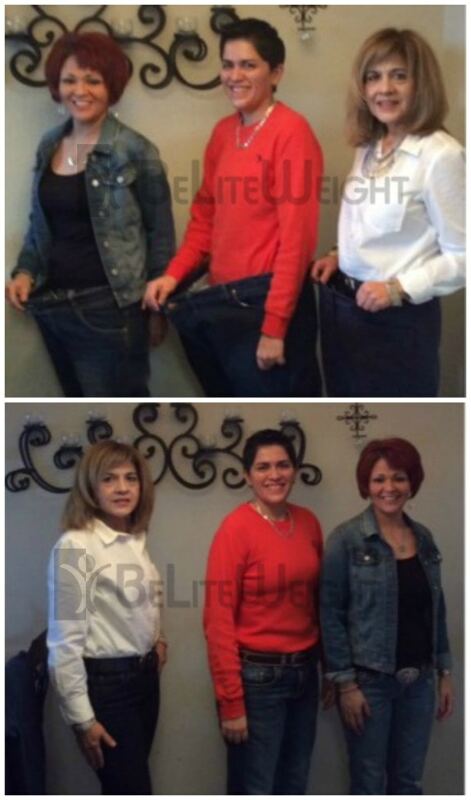 Celia (white shirt) was a size 16 and now she is a size 4*. Nicole (black shirt) was a size 18 now she is a size 3*. Marisa (red shirt) was a size 50x32 now she is a size 32x32*. Congrats ladies!